The 100 Ton Gun of Gibraltar is one of only 4 guns of this type that can been seen today. 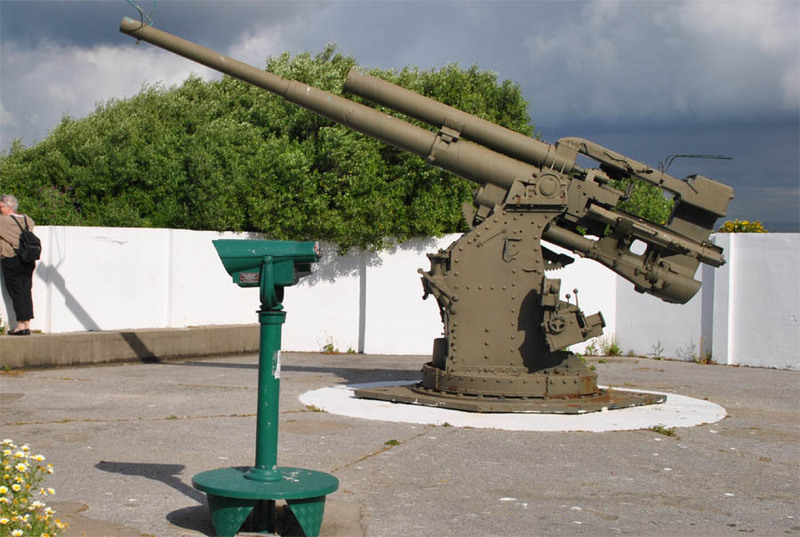 Two of these guns are located at Fort Rinella on Malta and one is at the Imperial War Museum in London. 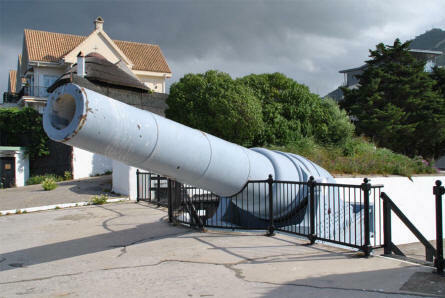 The gun(s) at Gibraltar was set up in 1883 to protect the strait of Gibraltar, but have never been involved in any real fighting. At the site there is also a smaller gun, which was set up during World War II. 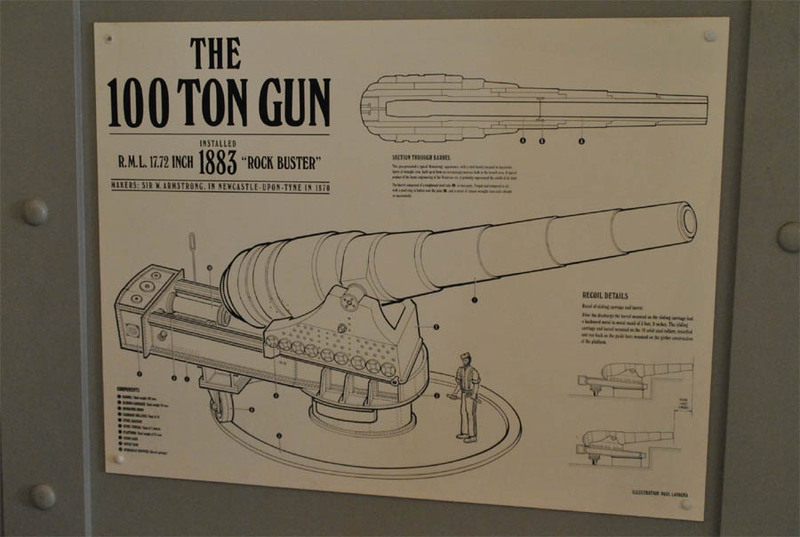 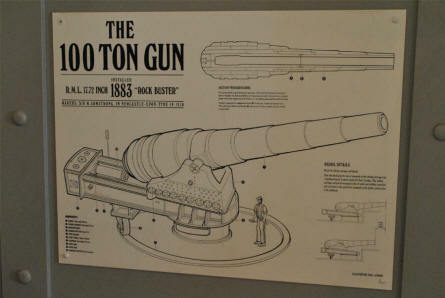 A drawing of the 100 Ton Gun displayed at the 100 Ton Gun Museum in Gibraltar. 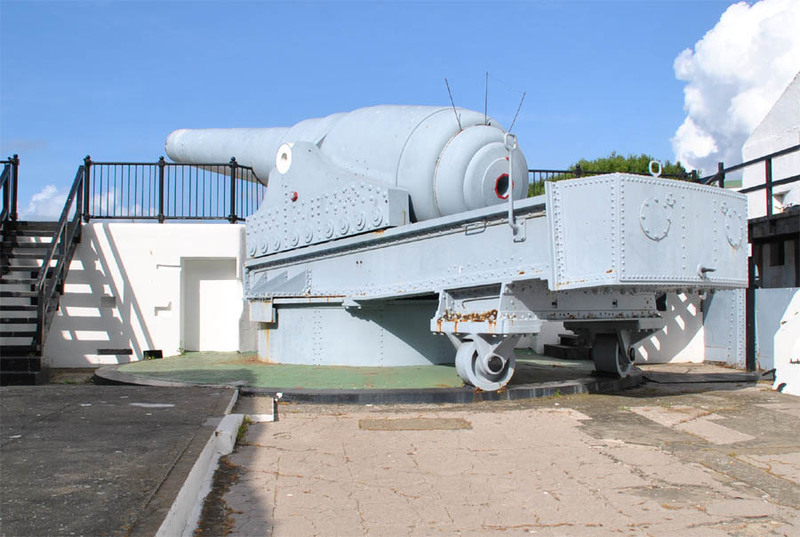 The 100 Ton Gun of Gibraltar. 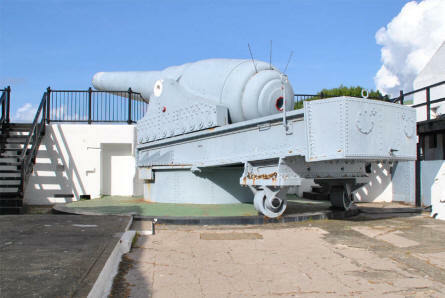 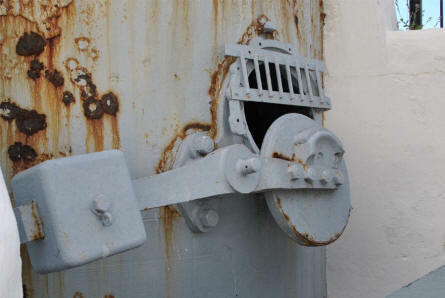 A World War II gun - just next to the 100 Ton Gun in Gibraltar. Details from the 100 Ton Gun in Gibraltar - here the one of the access holes from the ammunition depot unto the gun platform. 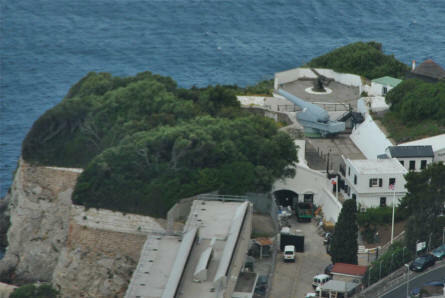 The 100 Ton Gun Museum in Gibraltar - seen from the rock of Gibraltar.